← “Initiative” – Let’s get started! But Scripture also warns us against simply trusting our gut. “The heart is deceitful above all things and desperately wicked; who can know it?” (Jeremiah 17:9) “My conscience is clear, but that does not make me innocent.” (1 Corinthians 4:4) “I find then a law, that, when I would do good, evil is present with me.” (Roman 7:21) “There is none that doeth good, no, not one.” (Psalm 14:3) In fact, God’s Spirit seems to have been so emphatic about the message of our corrupted instincts in Psalm 14 that He inspired its repetition almost word-for-word in Psalm 53. So, should I listen to my gut or not? Is my guilt or wisdom saying “run today” because I‟ve neglected my cardio and am currently risking future failure? Is it my pride or mindfulness that tells me I might get a good return on my investment if I work out extra hard today? Can I trust my gut feelings or not? Actually, bodily sensations may not be good or evil, but how and why we respond are definitely spiritual. Our gut may say to stay home and take it easy because we instinctively know that running will bring pain and cost us comforts that we could otherwise enjoy. But God warns us not to follow selfish physical instincts (see Genesis 6:3-12, Jeremiah 17:5-9, Matthew 26:41, Galatians 5:17, 1 Peter 3:18, etc.). Typically we want to cling to something because we’re scared. 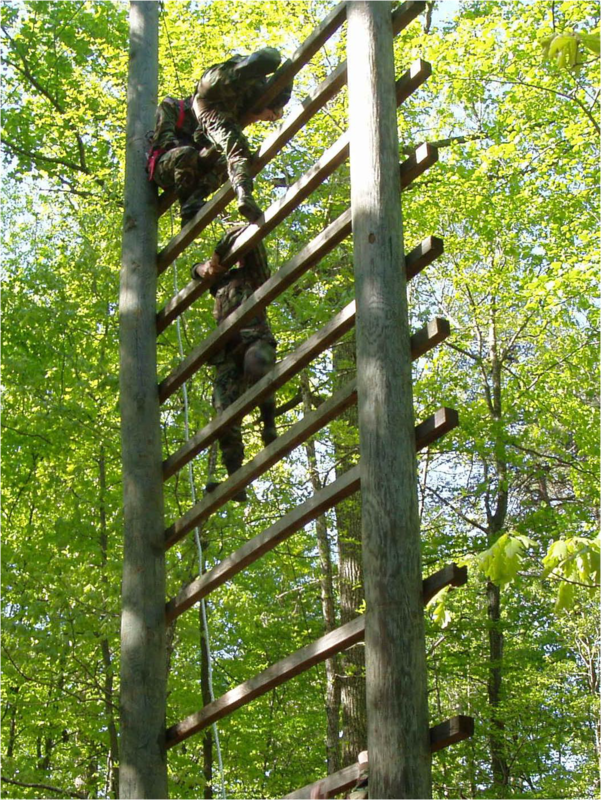 Look back at the Soldiers on the giant ladder. All of us cling to something, don’t we? In Galatians 5 and 6, Paul tells us to cling to God’s spirit and not to our fleshly desires. But how do we (in Paul’s words) “walk” or “live” by the Spirit? After all, we can’t see or touch Him. In fact, many of the most inspiring and rewarding acts of faith are by people who followed God with no “warm and fuzzy‟ in sight: Abraham in Genesis 17:15ff, Moses in Exodus 3, Samuel in 1 Samuel 16:1-6, Elijah in 1 Kings 19, Jehoshaphat in 2 Chronicles 20:5-12, all of Jonah, the disciples in Matthew 14:15-17 and John 11:7-16 , the father with partial faith in Mark 9:16-24, Mary and Martha in John 11, Ananias in Acts 9:10-17, Peter in Acts 10:9ff, and, most notably, the Lord Jesus in Mark 15:34, Luke 22:42, Hebrews 5:7-8, etc. Isn’t it the difference between infatuation and love? The former seeks self-satisfaction and instinctively knows “that’ll make me feel better”, so it necessarily listens to the flesh. But love seeks to please another and understands how to do that by getting to know the other person over time. I learn how to please my wife by spending time listening to her and watching her. We learn God’s heart by spending time in His Word and watching His work in the Body of Christ, so we rely on His Spirit to warm our hearts to His Word and lead us in Him. This entry was posted in Workout Wednesdays and tagged devotional, instinct, W.A.I.T. training devotional. Bookmark the permalink.